Affiliation : Moulay Ismail University, Morocco. Department : Department of Computer Science. Affiliation : Islamic Azad University, Iran. Department : Department of Computer Science & Engineering. Affiliation : Ibn Tofail university, Kenitra. Affiliation : Lovely professional University, Punjab. Affiliation : College of Computers and Information Technology,Taif University. Department : Departments of Computer Science and Information Technology. Affiliation : VITS College of Engineering, Visakhapatnan, India. Affiliation : College of Management & Computer Technology at Aurangabad, India. Affiliation : QRATA Computer Group. Department : Department of Information Technology. Affiliation : Savera Group of Institutions. Affiliation : P.R.Patil College of Engg & Tech, Amravati, India. Affiliation : Nandha Engineering College, India. Department : Department of Computer Application. Affiliation : Voorhees College, Vellore, India. 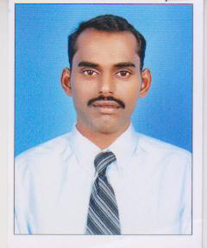 Affiliation : Kalasalingam University, Krishnankoil, Sirivilliputhur. Affiliation : K L University, Hyderabad, Telangana. Department : Department of Computer Science and Engineering. Affiliation : Dronacharya College Of Engineering, Gurgaon, India. Department : Department Of Electronics & Communication. Affiliation : Annamacharya Institute Technology & Sciences, Rajampet, A.P, India. Affiliation : C.Abdul Hakeem College of Engineering, Melvisharam, India. Affiliation : Shobhit University, Uttar Pradesh. Affiliation : Srinivas Institute of Technology, Mangalore. Affiliation : Panimalar Engineering College, Chennai. Affiliation : Guru Nanak Dev University, Amritsar, India. Affiliation : Commercial Manager in Multifarious Projects Group, Kolkata, India. Department : Department of Business & Economics. Affiliation : SSBT�s COET, Jalgaon. Affiliation : PG Department of Information Technology. Department : Department of Computer Applications. Affiliation : SVS College of Engineering, Arasampalayam, Coimbatore. Department : Department of Electronics and Communication Engineering. Affiliation : Padmbhooshan Vasantraodada Patil Institute of Technology, Budhgaon. Department : Department of Civil Engineering. Affiliation : Shri Siddhi Vinayak Group of Institutions. Affiliation : Coimbatore Institute of Technology, Coimbatore. Department : Department of Computing. Affiliation : M.I.T. College of Engineering & Technology, Pune. Department : Department of Electronics & Engineering. Affiliation : Shri JJT University, Jaipur. Department : Digital Control Systems. Affiliation : Birla Institute of Technology and Science, Rajasthan. Department : Department of Computer Science engineering. Affiliation : AMA Computer College: Olongapo City, Zambales, Philippines. Department : Department of Computer Studies. Affiliation : College of Computer Science, King Khalid University, Saudi Arabia. Affiliation : Sat Kabir Institute of Technology and Management, Bahadurgarh. Affiliation : Amity University, Haryana. Department : Department of Electronics and Communication. Affiliation : New Horizon College of Engineering (NHCE), Bangalore. Affiliation : Excel College of Engineering and Technology, Namakkal, Tamilnadu. Department : Department of Measurements & Instrumentation & Control Systems. Affiliation : Periyar University, Periyar Palkali Nagar, Salem, Tamilnadu. Affiliation : ABI & ABI College of arts and Science technology, Thanjavur. Department : Research and Development. Affiliation : Project Management Institute, USA.